Situated to the South of Friuli Venezia Giulia, Lignano is a peninsula where you can find the sea as well as entertainment, nature and outstanding cuisine. The area borders to the North and to the East with the Marano Lagoon and with fishing valleys, to the West with the River Tagliamento to the South with the Adriatic Sea. It has an area of rougly 1600 hectars of which 500 are urban, 430 facilities and services, 270 pinewood and 300 hectars of farms. Lignano Sabbiadoro: the tip of the peninsula, the heart of entertainment, full of life and irresistible attractions for adults and children . 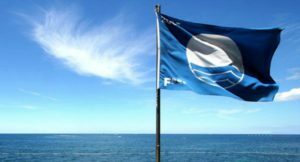 In the 2018 and in other many years the “FEE Blue Flag” has been waving above Lignano Sabbiadoro. This honor is granted to those sea-side resorts who work seriously to maintain their beaches and harbours, as well as keep them both clean and organized. An extensive beach with fine golden sand, clean water,a calm shallow sea, a constant breeze and excellent south-facing position make Lignano an ideal holiday choice. All 8 kilometers of beach are supplied with a wide variety of games and sporting equipment; this is possible owing to the width of the shore and its very gradual slope. Paddle boats, surfboards, sailing boats etc. can be hired directly on site. At the back of the beach, volley-ball, bowls, tennis courts as well as football fields and other leisure facilities are available. Lignano is also one of the few beaches in the area to offer on-site medical professionals and treatment. 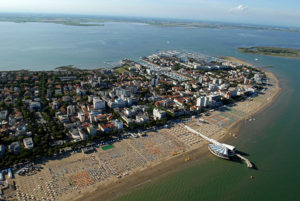 Spending one’s holidays on the Lignano Sabbiadoro penisula means the promise of clean sea and 8 Km of fine sandy beach. Lignano also offers many opportunities for enjoyment, such as play parks and numerous sports facilities, from tennis courts to roller skating rinks, 8 docks, the “Aquasplash” water park, the fun fair, not to mention night clubs and discoteques for evening entertainment.